ChemSpec USA has announced the release of its second generation Professional Colour Selector™ (PCS). The redesign of the PCS system is a direct result of the company’s dedication to colour excellence and support for its customers in Australia and New Zealand. Through working with its parent company, Axalta Coating Systems, ChemSpec USA has been able to gain access to Axalta’s renowned colour expertise and refocus its efforts on customers’ requirements. The New Professional Colour Selector is just one step ChemSpec USA is taking to strengthen its colour offering, supported by improved colour-matching capabilities and faster availability of new colours. 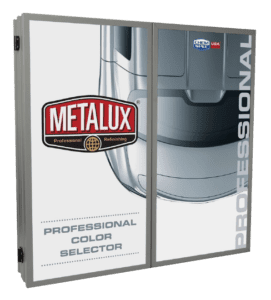 The Professional Colour Selector system consists of over 5,600 colour chips for solid and metallic colour refinishing, designed specifically to support the Metalux Basecoat System. Included within the system are 265 colour updates for 2017, as well as over 580 formulas for the Australian/New Zealand markets. The swatches are arranged in colour chromatic sequence, making it easy to compare the colour swatch to the colour directly on the vehicle’s surface. This allows for the painter to make a proper colour choice quickly and accurately for optimised efficiency in the shop. Each swatch is manufactured with the original paint and applied with a spray gun to get a truer-to-life, accurate match. The chips feature a newly laminated coating for improved durability and prevention of solvent ingress. The formulas have been added into the company’s latest release, Easimix Professional Software and Web Formula Tool. Coupled with the world-class Easimix Professional™ software, refinishers will find it much easier to cross-reference and match colour with a higher level of accuracy. The colour selector is contained within a compact metal cabinet that comes with assembly brackets, enabling it to be firmly mounted on the wall – ideal for when floor space is limited. The panel doors provide open access to the entire colour box, allowing for easier handling and placement of additional colour updates. For more information on ChemSpec USA in Australia and New Zealand, contact Corey Smith on Tel: 0419 552 868, email sales@ChemSpecpaint.com or visit their new website www.ChemSpecpaint.com.